If you have never heard of Tailwind’s Content Discovery feature don’t worry because this is a new paid feature that is still in the beta testing phase. Today I want to take you behind the scenes of Tailwind’s Content Discovery feature and give you my honest review of whether it is worth it or not. What is Tailwind’s content discovery feature? 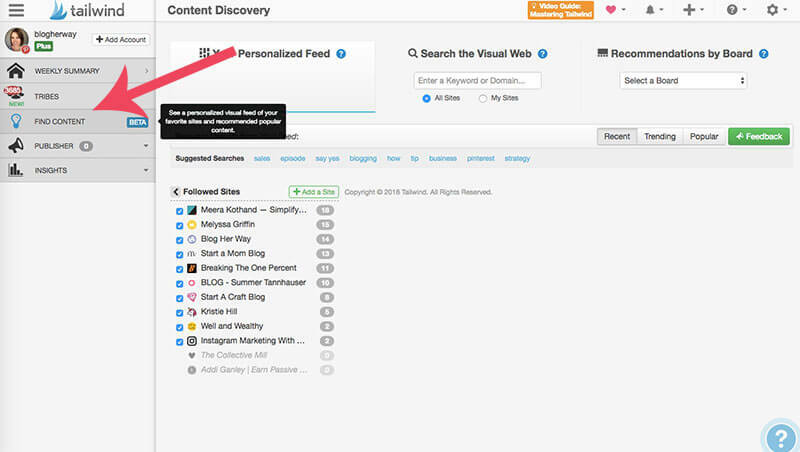 The Content Discovery feature is a new Tailwind feature that is still in beta testing. 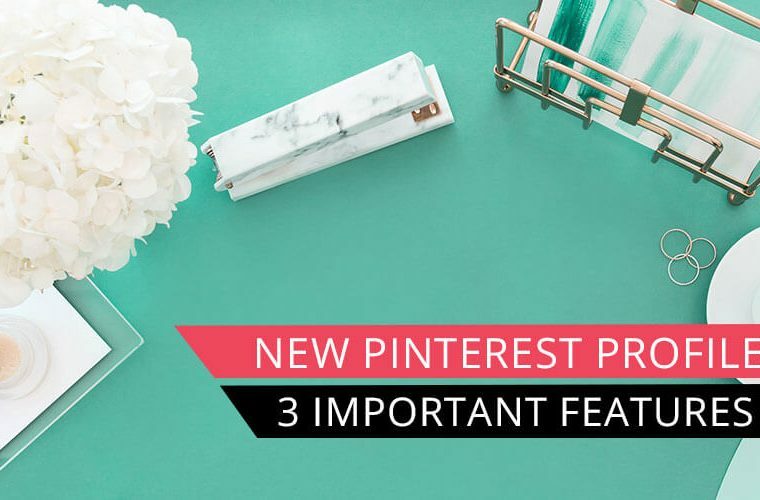 The focus of this feature is to help you easily find more 3rd party content to share on Pinterest. 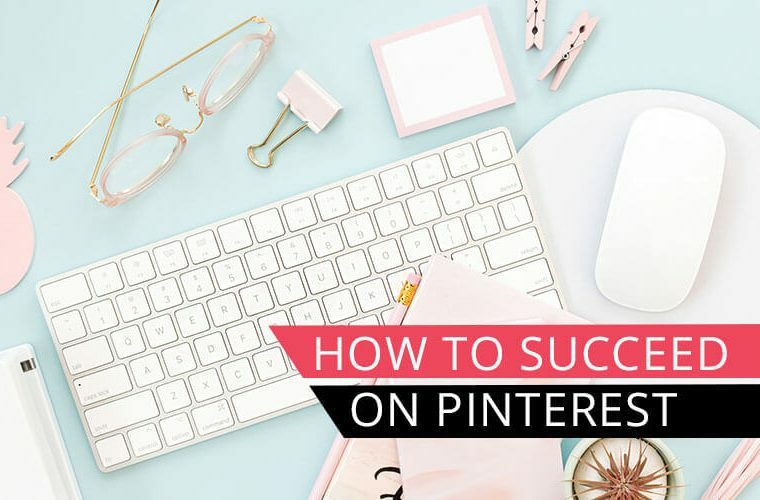 Pinterest is a great way to drive traffic to your blog and you want to make sure you are primarily pinning your own content to Pinterest, but you also need to pin other people’s content. 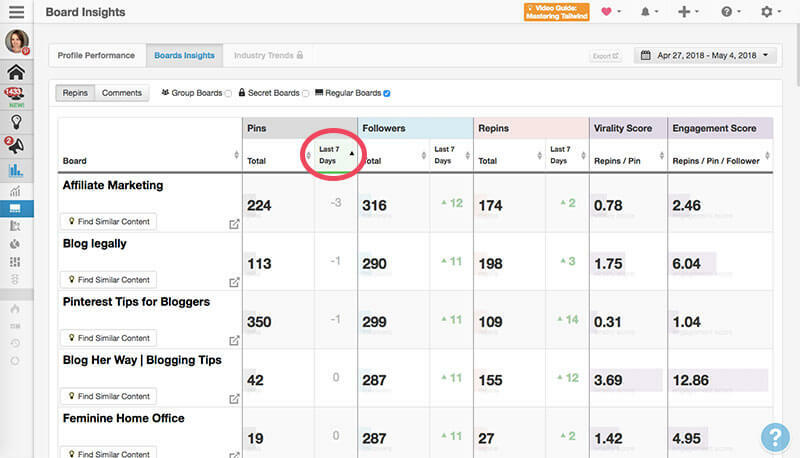 The content discovery feature offers a way to easily find additional 3rd party content to save on Pinterest. How do I get Tailwind’s Content Discovery feature? If you want this feature added to your Tailwind account you have to get in touch with customer service and request the feature. As of now this feature is not free and costs an additional $4.99 per month. With the Content Discovery feature you can add your favorite websites and Tailwind will create a curated feed based on your website preferences. This is a great way to add the websites in your niche that you enjoy and trust. This feature creates a feed from your chosen websites for you to schedule content from. You can choose to display the content by most recent, trending or popular. You can also click on the suggested search terms to organize the content by keyword topic. Click on the green button > ADD A SITE. In the dialogue box enter the URL of the website you want to add to your curated feed and then select the RSS feed for that site and click > Add Selected site. Here is an example below when I added susanvelez.com. 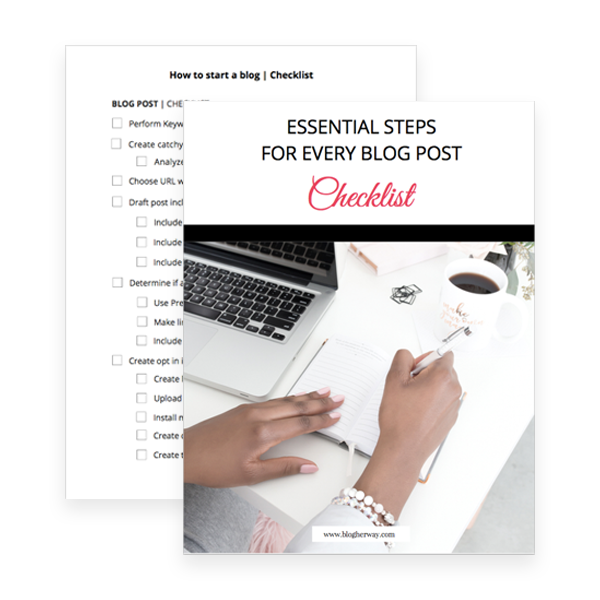 Susan shares great actionable blogging tips on her site and her content aligns perfectly with my content. I know that I can trust her content to be good and adding her website to my curated feed makes it easier for me to find any new content from her and schedule it to my boards. After you have added the website it will show up in your list. The website name will be grey at first because it takes some time for the content to be added to your feed. Once it has been added it will move up and will be in color and you can check or uncheck the box to see content from that website. Here is one of my first major criticisms with the content discovery feature. The only reason I would want to pay extra for a Tailwind feature like this would be if it helps save me time when scheduling my Tailwind content. When I look through this feed not all images are Pinterest appropriate (all images are not long vertical pins). I do not know for certain, but I would assume that the feed pulls from either a header image or a Pinterest specified image. Sometimes a header image can be square or horizontal, which is not optimal for Pinterest. When looking through the feed at my website content I know that it does not pull my header image, but it pulls the image that I have specified as my Pinterest image through the Social Warfare plugin. Because not all images a good quality for Pinterest I still prefer to use Tailwind Tribes to find my niche related 3rd party content to share. As long as you join niche related tribes then Tailwind tribes are a better option for finding niche content. Tailwind Tribes offer a curated feed of just Pinterest worthy images that pinners have specifically added to the feed to be shared (They put their best pins forward to be shared – nice long vertical Pinterest worthy pins). My next criticism is not all websites can be added to the feed. The feed seems to be based on the website’s RSS feed so if you potentially do not have an RSS feed set up for your website then your content may not show up in this feed. I added Addi Ganley and The Collective Mill weeks ago and they are displayed with a 0 next to the website name. Their content will not show up in my feed because it seems there is no RSS feed to pull from. Is Tailwind’s content discovery feature worth it? Read the uncensored review! The Content Discovery feature gives you the option to search the visual web. Type in your search term and you can choose if you want to search all websites or just the websites you have added. One small complaint I have is the search is a little slow. We live in a time where we expect immediate results and if it takes a couple seconds for the feed to populate that is just too long. No, this isn’t a deal breaker for me, but it is one of my criticisms with this feature. Here is where I have another problem. What does the visual web mean and specifically what database is Tailwind pulling from? Are these images from Pinterest directly? Are these just images that have been saved/added from within the Tailwind platform? I feel like I run into the same problem I did before with the curated feed. Not all images are tall vertical Pinterest worthy images. I find myself scrolling to sift through the images to find one that meets all my criteria. In this case I don’t think this feature beats just searching by keyword in Pinterest directly. When you search in Pinterest directly you get the added benefit of seeing what content is ranking high in Pinterest for a given keyword. This content is already doing well on Pinterest for that keyword. 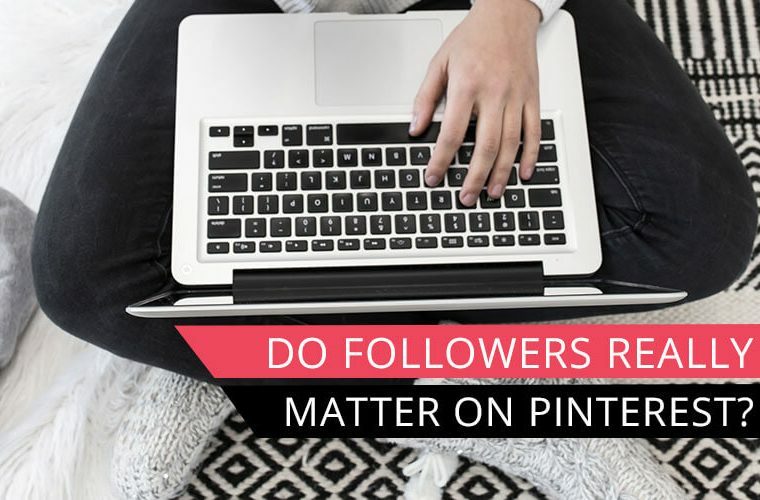 What effect does SAVING a third party pin have on your Pinterest account? Behind the scenes Pinterest has some sort of tagging system where each pin is tagged with certain keyword data that tells Pinterest what the pin is about and where to deliver it in search results. 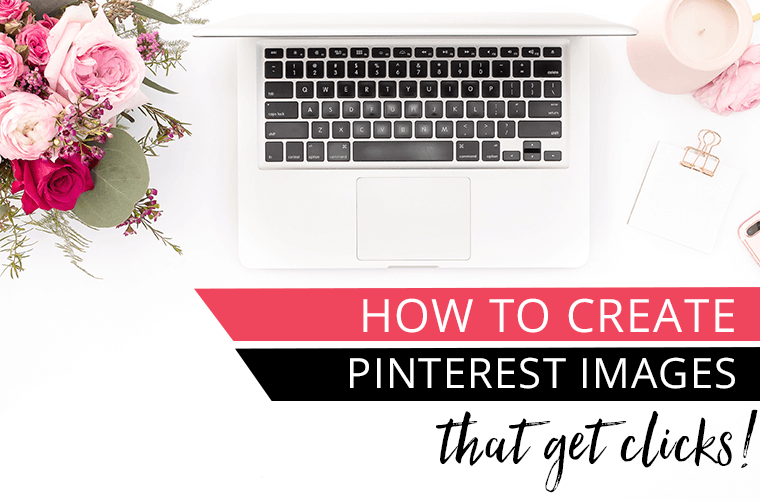 When you pin 3rd party content to a board, Pinterest knows what this content is about and it can influence how Pinterest sees your board and ultimately how Pinterest tags and interprets what your board is about. This is why it is only recommended to pin your content to relevant boards that are keyworded appropriately and contain similar content. 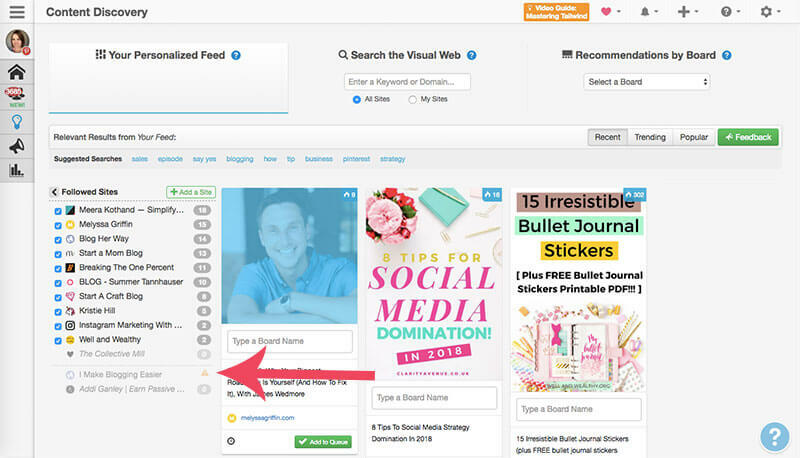 When you save 3rd party content to your board that you know does well for a particular keyword it will help Pinterest know what your board is about. Tailwind’s content discovery feature allows you to search for content based on a board. From the drop down menu select a board and the feed will show you content based on that board. Out of the three content discover features I like this one the best. You want to make sure that you are keeping your boards active by pinning content to them regularly. Deselect your group boards and secret boards to only show your personal boards. Click on the column to sort by Pins from the last 7 days in ascending order. I would prioritize SAVING content to boards that have not been pinned to within the last week to keep those boards active. 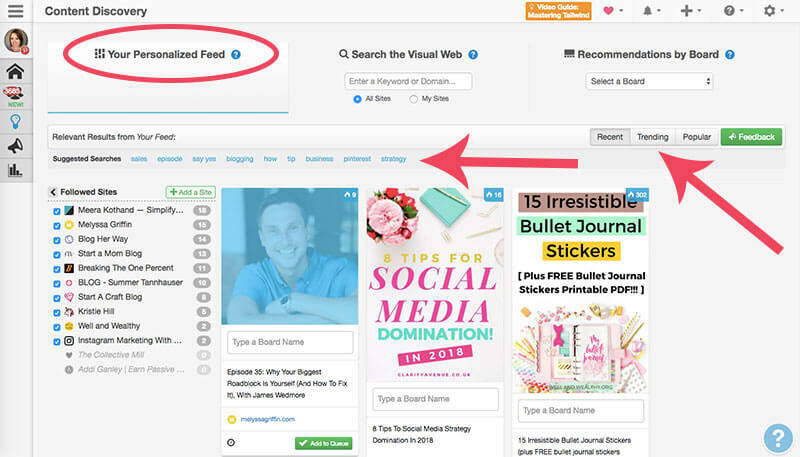 Make sure you check out the pending and popular tabs to find content that is popular and already performing well on Pinterest. How likely am I to recommend Tailwind’s content discovery feature? I love Tailwind! 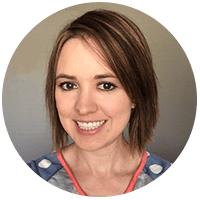 I think it is a great product and a great tool to use when it comes to Pinterest scheduling. On a scale from 1 to 10 how likely am I to recommend Tailwind to someone for Pinterest scheduling? A 10! No question about it I would definitely recommend Tailwind to anyone who is looking for a Pinterest scheduler. Tailwind is a great tool to streamline your Pinterest marketing. If you have never used Tailwind before definitely try it out today for free. On the other hand, how likely am I to recommend the Content Discovery feature? Tailwind has so many great features already that paying an additional cost for the content discovery feature just doesn’t seem worth it to me. If they want to include this feature as part of the normal plan I am all for it because I think it shows great promise to be able to specifically curate a feed based on your preferences of the websites you follow. Who knows they may roll it out in the future as a free feature, but as a paid feature I just don’t think it is worth it. I don’t know if there is a cost because it is trying to rival something like feedly where you can create a content feed from the website’s you follow. 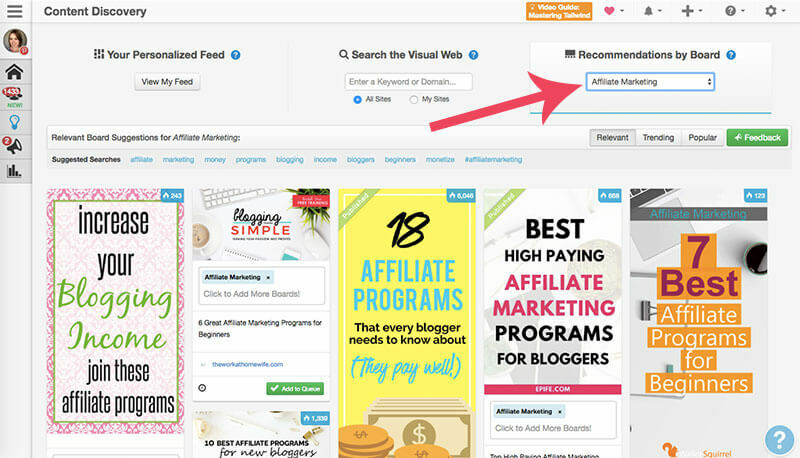 I would much rather put money into a Tailwind Tribes power up, because at least that feature can help increase your reach on Pinterest which can help drive more traffic to your website to get more conversions. Whereas the content discovery feature is more of a time saving feature and does not help progress your bottom line. Learn more about the 7 Powerful Tailwind Features here. Let me know in the comments below what you think about Tailwind’s content discovery feature. If you have used the content discovery feature what do you like the most about it. Is it worth it for you and your business? 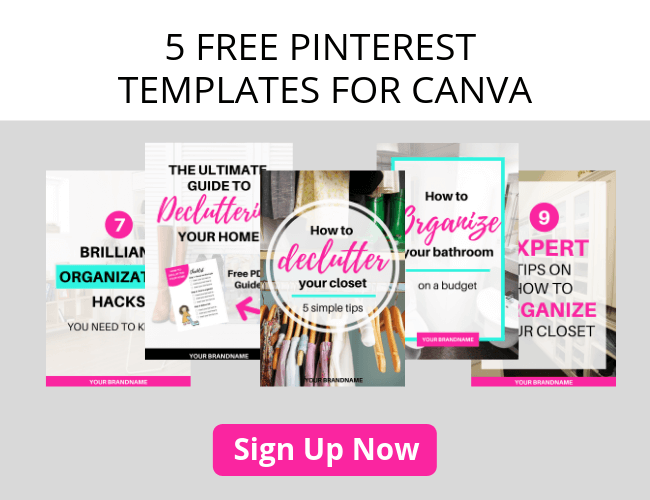 Check out my other posts on how to use Pinterest for your blog. Tailwind for Pinterest scheduling: If you made it this far then you already know that my favorite Pinterest scheduler is Tailwind. It offers great features like the SMART schedule to help me pin at optimal times and it has great analytical features. Try Tailwind out for free today! Tasty Pins Plugin for easy Pinterest descriptions: The Tasty Pins plugin offers an easy way to add Pinterest descriptions to my images. It is no longer best practice to use the alt text field and this plugin ads a Pinterest description field in WordPress to make it so much easier to add a Pinterest description to all of my images. Social Warfare plugin for easy social sharing: The social warfare plugin has a number of nice features. 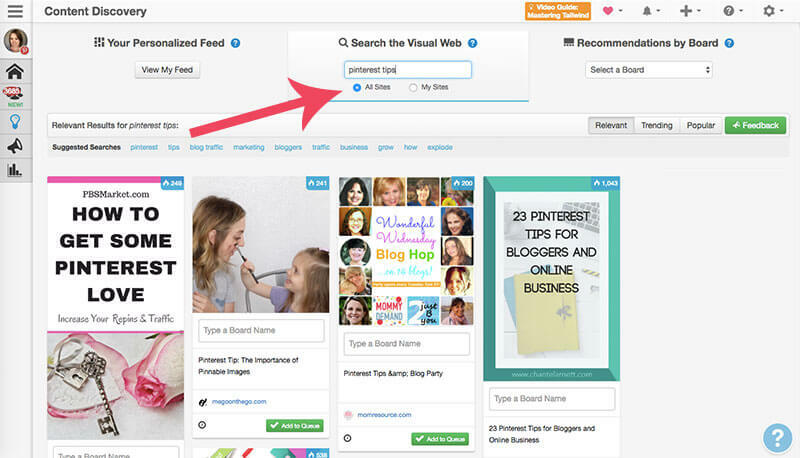 It allows you to specify a Pinterest image and add a Pinterest description. Now that I have the Tasty Pins plugin this feature is a little redundant now. Tasty pins lets you add more than one Pinterest image which is nice whereas Social Warfare only lets you choose one image. I still like to use social warfare for the social share features. You can pick a threshold for when you want the numbers to show after you post has reached a certain number of shares.